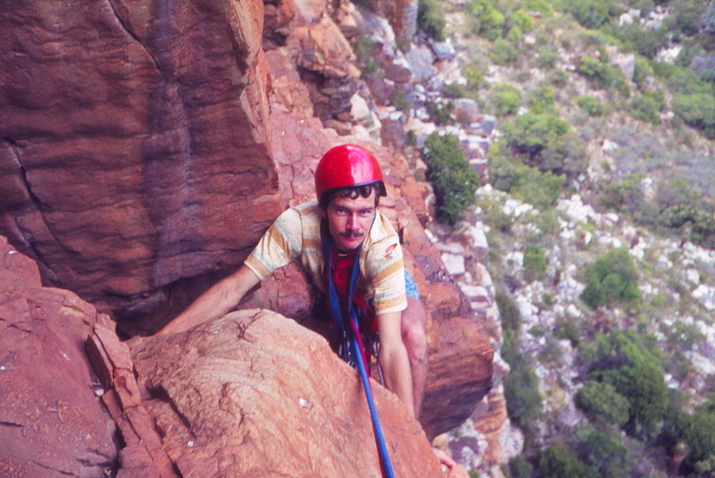 Mike McKechnie on Dassie Cavern ~ 1980. Photo thanks to Andrew Forsyth. There are a about 39 traditional trad lines. Set in a very scenic wilderness gorge. There is full route guide that can’t be distributed publicly at this stage. The farmer does not want climbers they don’t know to go into Momentum Gorge without supervision. This means that climbers that have not been there a few times need to go with someone who knows the farmer. Please respect this & don’t take any chances, the farmers out here are not to be fooled with. For more information please contact info@easterncaperockclimbing.co.za or ask the EP Section MCSA climbing coordinator.